Training to become more proficient in the art of handgun has its costs, and the costs should not be centered around overpriced, underpowered ammunition. 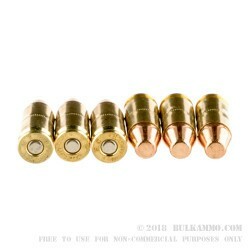 The Federal 147gr 9mm Full Metal Jacket is one of the most sought after rounds for its consistently and performance at an affordable price, and will provide you the edge you need to take your marksmanship to the next level. Engineered to perform on the range and during competition, the Federal 147gr 9mm FMJ is the embodiment of performance and consistency. The 147gr round nose flat point rounds have an inherently flat trajectory, and make for a consistent point of aim, point of impact inside of 25 yards. 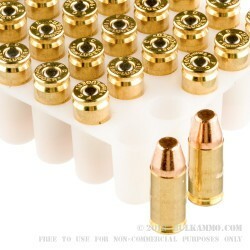 Brass cartridges make for a malfunction free extractions and ejections of spent casings during any course of fire, and provide for an excellent reload opportunity for shooters who are looking to stretch their dollars even further after a long day at the range. For competition and high volume shooters alike, the Federal 147gr 9mm FMJ is performance at an affordable price. 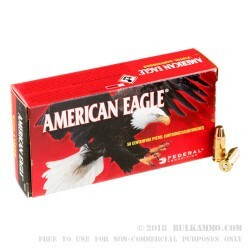 Q: Do you or will you carry 147g 9mm other than flat nose non-HD ammo for practice? 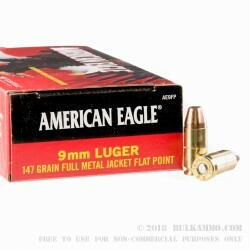 A: We have 147gr JHP ammo, but 147gr FMJ RN is a better choice for high volume practice.